Charlestown,Nevis–(Friday, November 18th, 2011) — The Nevis Reformation Party-led Nevis Island Administration (NIA) continues to be visionary with its joint efforts of investment with the private sector. Premier of Nevis, the Hon. 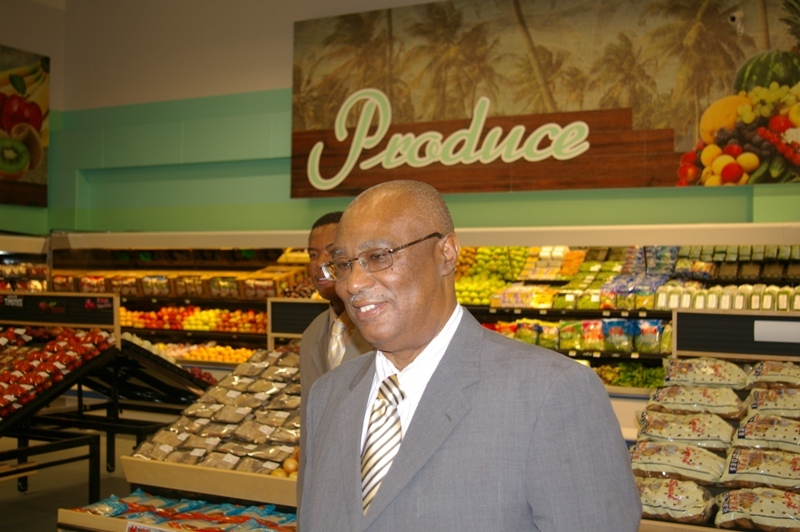 Joseph Parry told the audience gathered in the parking lot at the junction of Farms and Long Point for the opening ceremony of the Nevis Horsford’s Valu -Mart on Wednesday afternoon, that entrepreneurship and being visionary are important for the development of Nevis. “My focus this afternoon is on two words, entrepreneurship and vision. It is important for me to state this during this ceremony because there is a message that must be sent throughout the island, the Eastern Caribbean and all emerging countries, that progress is found through those two words,” said the Premier. He went on to say that today, the island must celebrate the entrepreneurs who are willing to get their hands dirty, willing to get into business, sees an opportunity and brings it to fruition. “I do believe that Horsfords has demonstrated that they are entrepreneurs and today they are as active as ever in the economy of Nevis and the economy of St. Kitts,” the Hon. Joseph Parry said. According to the Premier, they are many who might say the economy of Nevis and St. Kitts are the same. However, he noted that there are differences as the government of St. Kitts does not necessarily pursue the same path of growth and development that is pursued on Nevis, even though Nevis seeks to compliment both islands and create growth. The Premier told the audience that he would like the young people of Nevis to know the movers and shakers and the history of Horsford’s, and to realize that there are many opportunities for people to develop and make their lives comfortable and happy. During the Premiers’ address, he spoke about the “vision” to which he noted, that visionary person’s have a gift to see further than most. “Some visionaries do not get the support that is needed and because of that they have given up. Let us support the visionaries in our communities,” said Premier Parry. The Premier noted that Horsford’s has demonstrated the vision of investing in St. Kitts-Nevis, and the vision of opportunities where some saw none. 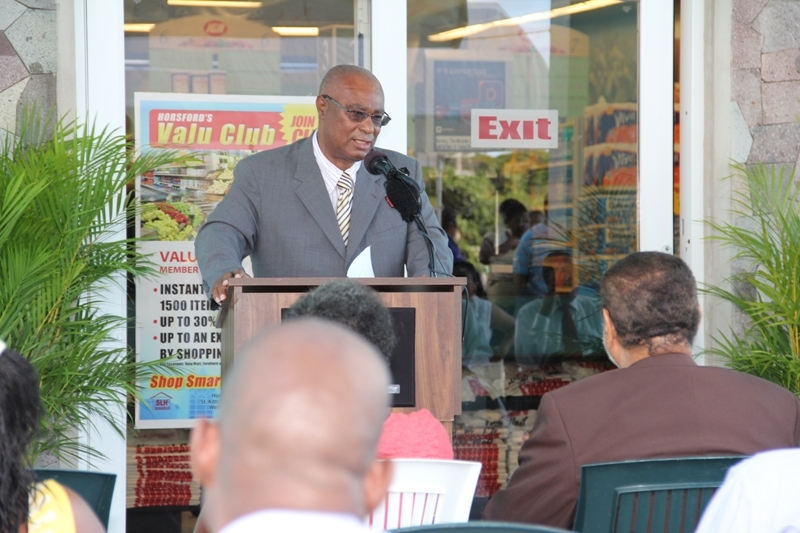 Nevis Horsford’s Valu -Mart IGA was conceived more that 20 years ago, and is a testimony of trust in the NIA, and the economy of Nevis. The magnificent multi-million dollar steel-framed building was constructed by noted Nevisian contractor,Mr Analdo Chiverton. 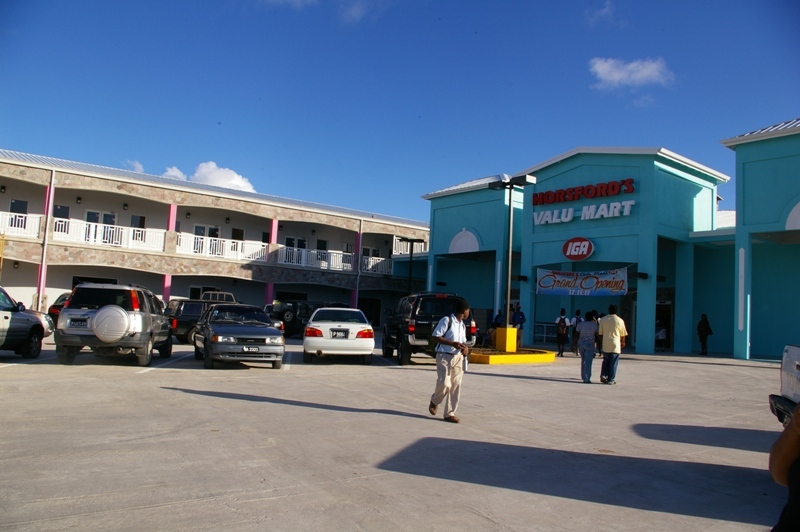 Nevisians and other residents have been flocking in droves to the island’s newest supermarket, since it opened its doors to the public Thursday morning.